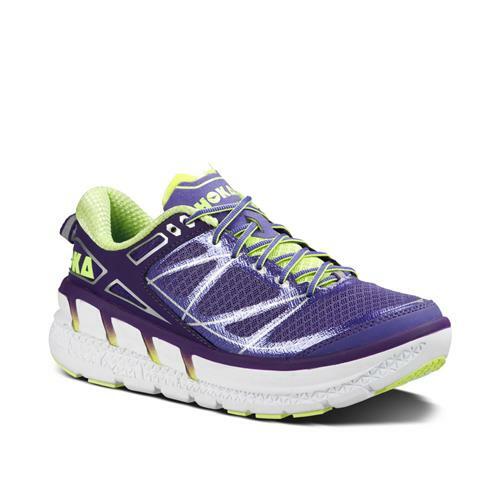 Counterpart to the Hoka Clifton. An incredibly lightweight shoe with Oversize cushioning, the ODYSSEY is designed for those seeking a simple, smooth riding shoe for the roads. Active Foot Frame geometry provides a stable ride, while minimal rubber pods give durability without sacrificing cushioning.